"Sailors dream!! Traditional New England charm with a 60 foot deep-water boat dock, 4 bedrooms, 3 baths plus in law suite with separate entry located above the two car garage. These are just a few of the many unique features in this lovingly built custom home. Three wood burning frpls, all with marble surrounds for elegant and relaxing entertaining. Six sets of French doors open to enormous wrap around deck overlooking SF Bay, Angel Island, RYC and Marina, Mt. Tam and Ferry Pt. A 60 foot deep-water boat dock, equipped with a side hoist is just minutes to deep water sailing. Easy access to 580, 80 Bart and Bridges. 15 Minutes to Marin and Berkeley. Quaint village of Pt. Richmond offers great restaurants, beauty salons, grocery stores, P.O. and more. New Ferry now operating to SF off Harbour Drive." "Elegant executive home with San Francisco skyline views showcases superior craftsmanship to stunning effect. Entry foyer with gallery-style art walls, diagonal hardwood floors throughout the main floor, formal dining room. The Great Room is the heart-beat of the home: chef's kitchen with walk-in pantry, island with prep sink and wine fridge, combines with the living room with built-in entertainment center while enjoying San Francisco skyline views from all the windows. Sliding door to deck, the SF views, and spiral staircase access to gardens below. The master suite sanctuary retreat has additional space for executive-style home office (or artist's studio). Lower level has two generous bedrooms, family room, full bath and access to patio and gardens. Your guests will never leave! Near Yacht Club & Bay Trails, EZ commute to everywhere in the Bay area. Only 5 minutes from New Ferry to San Francisco! Views: Downtown"
"Stunning Pt. Richmond location with bay and city views PLUS a short 5-minute drive to the new SF ferry for an easy commute to the city. Quality craftsmanship & excellent indoor/outdoor flow make this a special home. The main floor has high ceilings, warm hardwood floors & copious amounts of light in the living room, formal dining area, kitchen & den. Upgraded windows provide bay and/or city views from each room. An open floorplan combines the den with fireplace, Chef s kitchen and deck with views making it the perfect place for your family to spend time. The upper level includes an enormous private master suite that has city and bay views, a spacious bonus sitting area, fireplace, 2 walk-in closets & luxurious master bath. The lower level has 2 ample bedrooms as well as a bonus room that opens out to the patio. The patio, fire pit, and fully landscaped yard provides an oasis on any day. Don t miss this opportunity to own this home that is close to everything yet is supremely private!" "Amazing Bay views from this modern home two blocks from the water. 124 Bishop Ave is a multi-level home with 3 bedrooms and 2.5 baths, two large bonus rooms, and 2303 square feet. Dynamic Bay views from most rooms, and decks on every floor. The incredible master bedroom features large windows, bamboo flooring, and a private deck. The top floor is a large, open room prefect for a home office or art space. Two car garage, fireplace and more! The home is nestled on a 3000 square foot lot, in one of the best areas of Point Richmond overlooking Cozy Cove beach!" "Brickyard Landing Penthouse! Enjoy the quiet and privacy only available from a top floor condo. The gourmet stainless steel appliances, clerestory windows, skylight, and cathedral ceilings add to the elegance of one of Brickyard Landing's most desired floor plans. Entertain your guests or have a peaceful day sunning on your large, private deck. If the weather is less than perfect, spend time in the spacious solarium. Both provide amazing views of San Francisco, Angel Island, Marin, and the Bay. Watch the Richmond Ferry as it makes its way to and from San Francisco. Monitor the big ships as they move cargo into the Richmond Terminal. Or follow the boat races out of the Richmond Yacht Club! If you're feeling more active, enjoy the resort-like facilities: year-round heated pool; gym; saunas; hot tub; clubhouse and community garden. Take a walk on the Bay Trail, or stroll into downtown Point Richmond where you will find restaurants, coffee shops, and unique boutiques." "Panoramic View of the San Francisco Bay!! Attached 2-car garage adds another 500 square feet!! Beautiful Kitchen and Formal Dining Room with side by side Refrigerator/Freezer. TV Room on the lower level with separate entrance. Upper Bedroom with Full Bath and access to the one year old roof . Large backyard for a great garden!! Very nice Neighborhood with nice Neighbors!! A must see!!" "Newly remodeled. New 40 year warranty roof . New bathroom tiles, New carpet, floor tiles, wood. New paint inside and out. Ideal for a large family ." "Turn of the century Craftsman. First time on the market in 19 years. Elegant formal living and dining room with built-ins, stained glass windows and beautiful maple wood flooring with mahogany inlay. Dramatic fireplace in living room. Sun porch and separate pantry off kitchen. 3 bedrooms plus multiple alcoves. Lower level has an in-law studio unit with separate entrance, equipped with galley kitchen and bathroom. Huge storage area in lower level for storage/office/laundry. Also attic space may be developed. Well situated, 2 blocks from quaint downtown Point Richmond with shops, restaurants, library, swimming pool and more! 10 minutes to the new ferry to SF!" "**PRICED TO SELL FAST!! Discover stunning views from elegant newer home (2004). Open the front door and the views draw you in. High ceilings throughout. Gas fireplace defines formal living and dining rooms. Hardwood floors throughout the main floor in living & dining rooms. Interior garage access near kitchen, separate laundry room. Master suite retreat with amazing ocean views, double vanity, spa tub, and dual closets. Three full bathrooms upstairs, and one half bathroom on the main floor. Kitchen has upgraded cherry wood cabinets, granite countertops, travertine floors, and stainless steel appliances. Berber carpet throughout the upstairs. Floor Plan creates great separation of space for extended family or extended guests! Sliding doors open to patio and extra large backyard for indoor-outdoor entertaining. Close to Brickyard Cove Marina and Richmond Yacht Club, kayak boat launch beach, Bay Trails, hiking in the hills. Discover EZ commute! ONLY 10 min to BART and AMTRAK,15 min to Berkeley! 5 min to freeway access." "EAST BAY PARADISE! Bayfront home nestled in the Breaker - prestigious gated community of Richmond Marina Bay. Best location for commuters. Close to I-580, San Francisco, Oakland, Berkeley and Marin. Walking distance to Ferry from San Francisco to Richmond. Private access from the community to the bay and Bay Trail. You are welcomed into this 3 beds and 2.5 baths home by the sunny and beautiful living room with vaulted ceilings, tons of windows, romantic gas-start fireplace, and surrounded by blooming garden. The gourmet kitchen boasts exceptional features-light-filled spaces, stainless-steel appliances, modern countertops, and blended in perfectly to outdoor garden, for easy entertain. Inspired by the natural harmony of the waterfront, the gracious and blooming garden are ideal for hosting friends and family or simply unwinding at the end of the day. Breakers community offers exceptional amenities: gated community, private access to the bay trail, greenbelt, community pool and hot tub." "Transparent pricing. This craftsman gem loaded with beautiful architectural details is ready to be your dream home. It has large, open, bright, spacious rooms with great potential. 3 bdrms & 1 bath on main level are totally livable. There are 2 bdrms & 1 bath on lower level and large great room with plumbing. This home offers many opportunities for flexible use and possible development. The house is on a 4,000 sq ft lot with a single garage. Included in this sale is another separate 4,000 sq ft lot with a double garage. The lot is currently used as a lush garden with fruit trees. All this in a convenient location near historic downtown Point Richmond and near transportation, freeway access and new ferry service. This is truly a great investment!" "Dynamite home with large open concept living room, dining room and kitchen. Beautiful and tranquil patio and deck accessed from living area.The kitchen with travertine counters and back splashes bring a timeless elegance to the space. Lower level features a very spacious family room or in-law with bath. Del Norte BART is within walking distance. Express bus to SF is two blocks away. Open 4/14 and 4/21 2-4 pm. Also open Thurs 4/11 9:30 am - 12 Noon." "Fantastic, large home! First time on the market since its original sale date, only one owner! New Exterior and interior paint and carpet. Separate media/family room, large open kitchen. Beautiful hill views, quiet, and serene, lots to love. Close to San Pablo Dam, Briones Park, Orinda BART and shopping area." "From the relaxing front patio to the newly landscaped back yard, this home has an endless list of upgrades and bonus features. Just off the formal entry, an upgraded eat-in kitchen includes new countertops, glass tile backsplash and stainless-steel appliances. The living/dining room with fireplace opens to a freshly landscaped back yard. Flowering fruit trees surround a grassy play area and paver patio with raised planter boxes. The master suite includes two closets and a remodeled bath with Carrera marble floors and countertops, as well as a stall shower with a unique glass barn door. The hall bath has also been remodeled with a mosaic tile floor, Carrera marble tile work and quartz countertops. Two additional bedrooms face the rear, one of which includes sliding door access to the backyard. The original hardwood floors have been restored throughout this home, which also includes solar power, a new electrical panel and A/C, a new hot water heater and fireplace insert, and fresh paint"
"Great mid-century details and a pool and hot tub in this May Valley rancher! Great curb appeal on a quiet, cul-de-sac street with views of the nearby hills. Two-car garage! Come into a bright entryway with the eat-in kitchen and living area that opens out onto the yard on one side and a large family room with a fireplace that can be used as a formal dining room on the right. Three bedrooms and two bathrooms make space for everyone, plus there's tons of storage including two tool sheds in the backyard. This home is more than good to go, but bring your own touch and the details will shine even more!" "Gorgeous mid-century rancher in prime White Cliff neighborhood. Refinished hardwood floors, sunny updated eat in kitchen with deck, perfect for al fresco dining. Formal dining room with step down to living room with brick fireplace. Dual pane windows, stunning canyon views, fresh interior paint and newer light fixtures. Tankless water heater, central AC and heating. Huge fenced backyard with patios, downstairs rumpus/family room. Don t miss. Move in condition." "Welcome to your home!! This home offers an amazing open spacious floorplan!! It's beautifully nestled in one of El Sobrante's desirable neighborhoods, May Valley. This two story home has 2 bedrooms 1 bath on first story and another 2 bedrooms 1 bath on 2nd floor. Eat in kitchen, living room, spacious backyard, above- ground pool, wood-burning fireplace, Close to schools, shopping and BART station. This great opportunity will not last long!" "Great 3 Br, 2 bath. property in excellent conditions, located in a very quiet street. Close to schools, stores, public transportation and restaurants. Back yard with BBQ area, and Storage sheds. Large sunny patio in the back yard for entertaining. Easy maintenance back yard." "This cozy oasis known as the Honeymoon Cottage boasts vintage detail, tons of natural light, & 86 walkscore. Built originally for a property owner s son & new wife, it s the perfect retreat for 1 or 2 people. A large 2-car heated detached garage offering many possibilities for the new owners is included & supports an office area, workshop, & storage. The abode is secluded from the street & features: eat-in kitchen/ new vinyl flooring, living room & bedroom/newly refinished hardwood floors, & an updated retro bath. The yard boasts 3 garden areas with mature diverse landscaping & a rainwater catchment drainage system. The home & garage come with a new roof, very low pest report, & sewer lateral compliance. 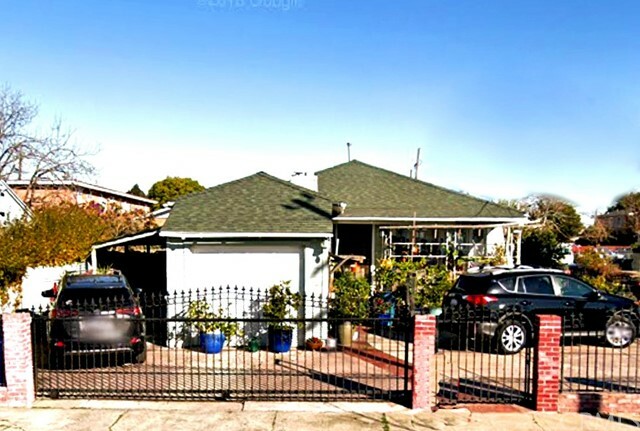 The location can t be beat with many restaurants close by, 4 blocks from the new 24 Hour Fitness & El Cerrito Natural Foods, close to El Cerrito Plaza, & easy access to AC Transit and BART making this a very good location for people commuting to San Francisco for work." "A Great find in Point Richmond! This 2 Bed 2.5 bath Townhouse chock full of upgrades in 1733 sqft. Private outdoor space connected to a tranquil common area. Kitchen has stainless steel appliances, granite counters, newly refinished cabinets w/ under lighting, bamboo, floor plan flows into dining and living rooms. Crown molding, wide baseboards, custom window coverings are throughout the entire home, cozy fireplace and upgraded bath round out this family floor. Top Floor has large master bedroom, mirrored closet with custom organizer, en suite bath has tile shower over a jetted tub and granite counters. 2nd bedroom is generous in size with mirrored closet and reading nook. A 2nd full bath with custom tile shower/tub and floor, granite counters. Laundry equipped with folding space, high end washer and dryer ideally located on the bedroom floor. The bottom floor is a large bonus room that has a large shop/storage space directly connected. Close to freeway, dining, and shopping." "Beautiful and spacious 3 bedroom/3.5 bathroom home with a bonus loft space, 2-car garage, and electric car charger. Ideally located in the quiet Marina Bay community, it's just one mile to the new San Francisco ferry terminal and an easy walk or bike ride to the bay, restaurants, and shopping, not to mention Marina Bay's gorgeous parks and trails. There's so much to love about this home and location all that's missing is you!" "May Valley Charmer! A well-maintained, bright, open family/dining area with Pellet Stove makes this a cozy single story. An updated kitchen looking out to a peaceful patio and mature backyard for that morning coffee. Dual Pane windows, Three sheds in backyard for storage. Beautiful, low maintenance landscaping. Nearby, you'll find schools, parks, shopping, and easy access to Highway 80. This is a perfect location to call home!" 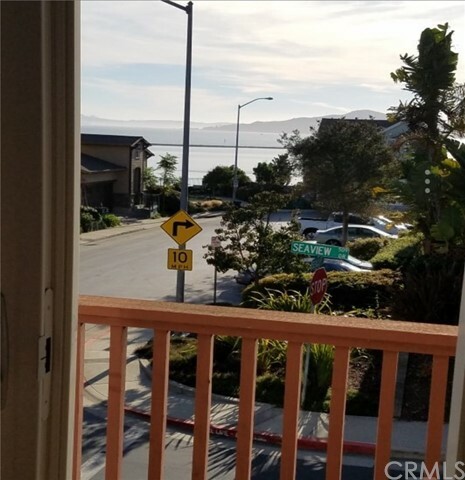 "East Bay Bayfront Paradise with Splendid Bay View! This gorgeous upgraded 2 bedrooms and 2 bathrooms condo located at Northshore Bayfront Community in Richmond Marina Bay. It contains many great features: Open Floor Plan; Stunning View; Modern Upgraded Kitchen, Cozy Fireplace, Top-line Floors, Contemporary Upgraded Bathrooms. Surround by Bay View and Ocean Breeze. There are two master bedroom suites with each of their own private bathrooms. This unit comes with 2 designated parking and storage, one is covered carport. Residents here celebrate the unmistakable allure of the waterfront lifestyle. Close to transportation, BART Stations. Walking distance to the New Ferry from San Francisco to Richmond. Open House Sunday 4/13 and 4/14@2-4:30 PM."